1. Explain what is a dc power supply? The part of the equipment that converts ac into dc is called dc power supply. 2. Explain what is a rectifier? A rectifier is a device which converts alternating current (or voltage) into unidirectional current (or voltage). 3. Explain what is PIV of a diode in a rectifier circuit? Peak Inverse Voltage (PIV) is the maximum possible voltage that occurs across a diode when it is reverse biased. 4. Explain what is the importance of peak inverse voltage? If the applied voltage in reverse biased condition exceeds peak inverse voltage (PIV) rating of the diode, then the diode may get damaged. 5. Explain why half-wave rectifiers are generally not used in dc power supply? The type of supply available from half-wave rectifier is not satisfactory for general power supply. That is Explain why it is generally not used in dc power supply. 6. 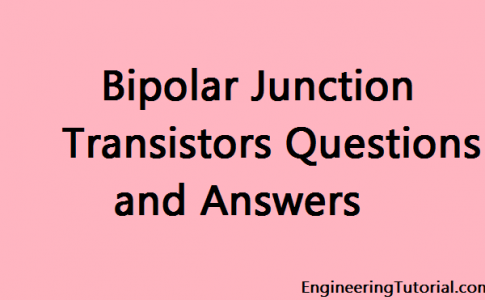 Explain why diodes are not operated in the breakdown region in rectifiers? In breakdown region, a diode has a risk of getting damaged or burnt because the magnitude of current flowing through it increases in an uncontrollable manner. That is Explain why didoes are not operated in the breakdown region in rectifiers. 7. Define ripple as referred to in a rectifier circuit. The ac component contained in the pulsating output of a rectifier is known as ripple. 8. Explain what is transformer utilization factor? Transformer utilization factor is defined as the ratio of power delivered to the load and ac rating of secondary of supply power transformer. 9. The output of a 60Hz full-wave bridge rectifier has a 60 Hz ripple. It this circuit working properly? 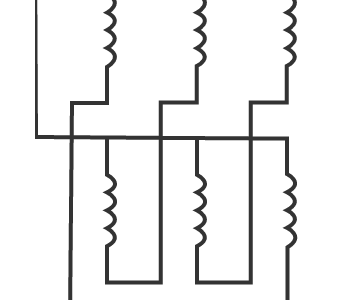 A full-wave rectifier with 60Hz input must have lowest ripple frequency equal to twice the input frqeuency i.e. 120Hz. If the ripple frequency is 60Hz, it means some diodes in the circuit are not working. 10. Explain what is meant by filter? Filter is a device that converts pulsating output of rectifier into a steady dc level. 11. Explain why series inductor and L-section filters cannot be used with half-wave rectifiers? Series inductor and L-section filters cannot be used with half-wave rectifiers because operation of series inductor depends upon the current through it and needs a minimum current to flow at all times. 12. Explain why capacitor input filter is preferred to choke input filter? In capacitor input filter, the dc output is much larger and ripples are less in comparison to those in choke input filter. So, capacitor input filter is preferred to choke input filter. 13. Explain why π-filters are not suitable for varying loads? Voltage regulation in case of π-filters is very poor and, therefore, π-filters are not suitable for varying loads. 14. Explain why R-C filters are suitable only for light loads? R-C filters have poor voltage regulation and need adequate ventilation to dissipate the heat developed in the resistor R. Thus R-C filters are suitable only for light loads. 15. Explain why is bleeder resistance employed in a filter circuit? A resistance, called the bleeder resistance, is placed across the filter ouput, to provide flow of necessary minimum current through the choke at all time. 16. Explain what is the purpose of bleeder resistance in a rectifier circuit using L-C filter? Bleeder resistance RB is placed in parallel with the load so as to maintain a certain minimum current through the choke, even the load resistor gets open-circuited, and improves filtering action. 17. Explain what is meant by voltage regulation of a dc power supply? 18. Explain why is it necessary to include voltage stabilizer in a power supply? 19. Explain what are the commonly used filters? The most commonly used filters are low-pass, high-pass band-pass, band-reject and all-pass filters. 20. Explain what is the difference between active and passive filters? A passive filter is formed with passive components, such as resistors, inductors and capacitors while active filters make use of transistors or op-amps in addition to resistors and capacitors. Active filters are preferred over passive filters because they provide gain and frequency adjustment flexibility. They pose no loading problem because of high input impedance and low output impedance and they are comparatively less expensive. 22. 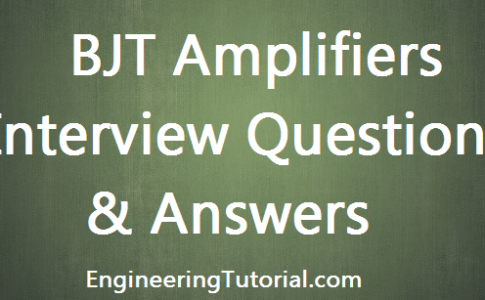 Explain what is a low-pass filter? A filter that provides a constant output from dc upto a cutoff frequency fC and then passes no signal above that frequency is called a low-pass filter. 23. Explain what is a high-pass filter? A filter that provides or passes signals above a cutoff frequency fCis called a high-pass filter. It has a zero gain starting from zero to a frequency fC and above this frequency the gain is constant.